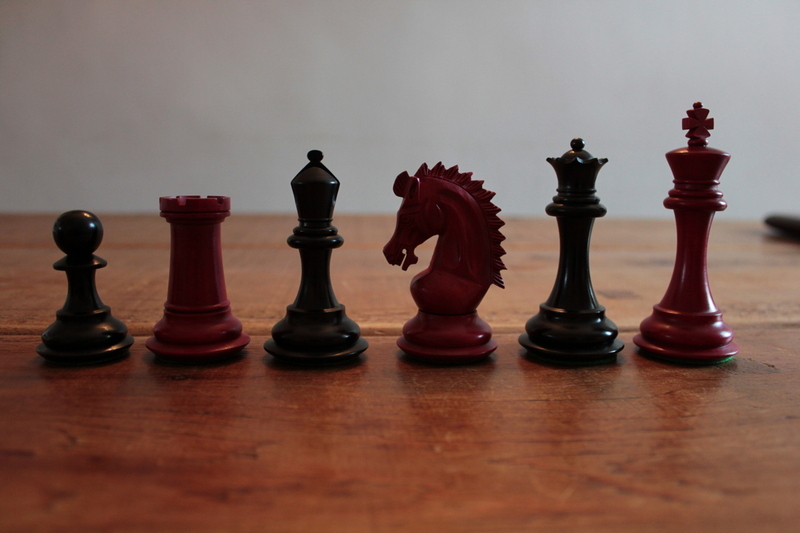 This product from Chess Baron: Note: The photos make this product look a little pinky. 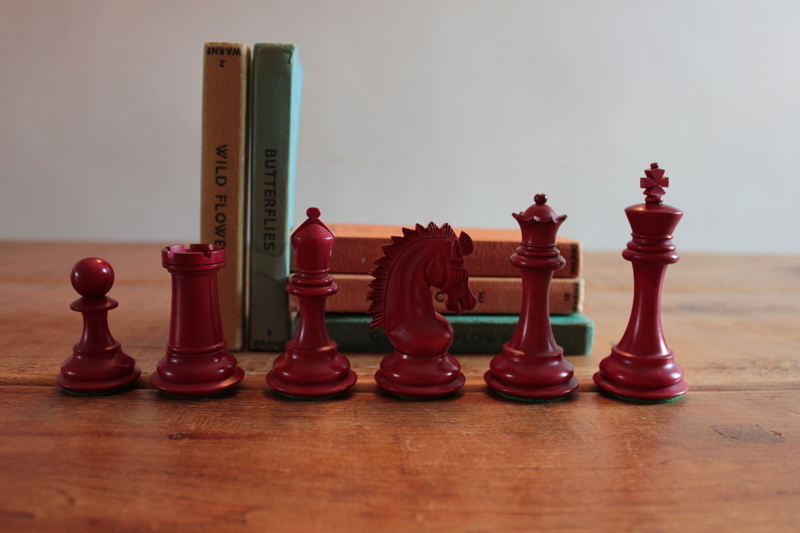 But it's solid red. 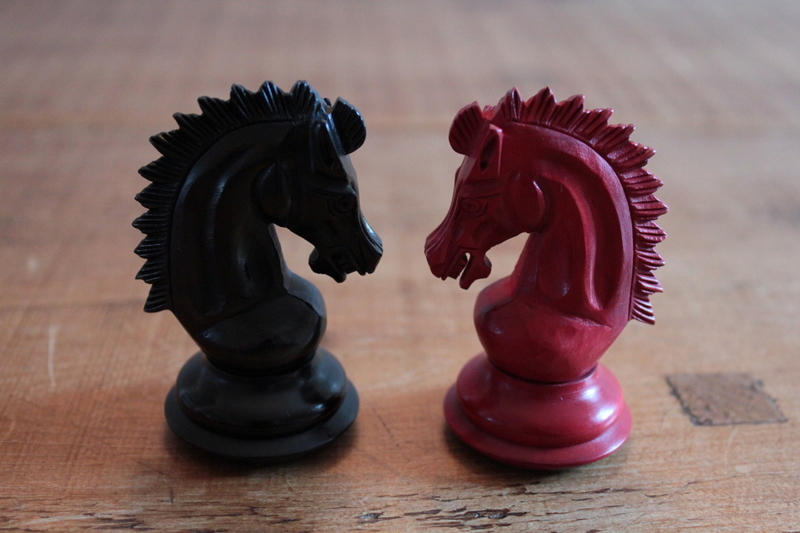 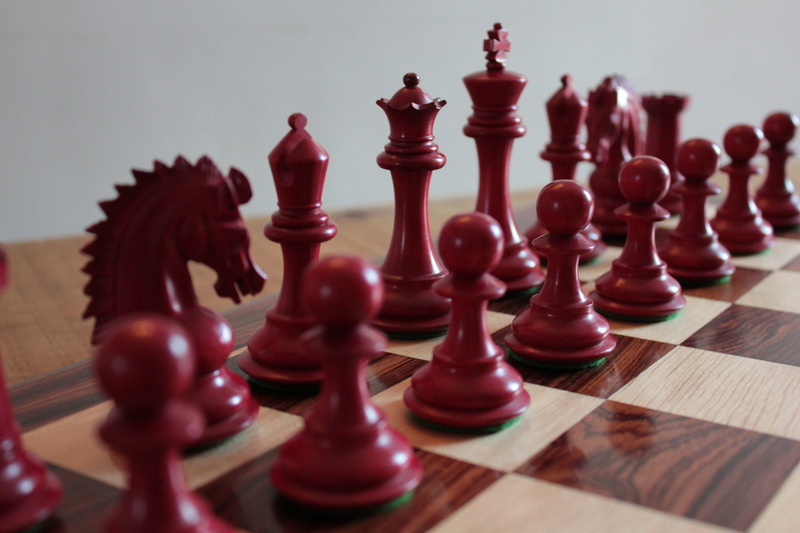 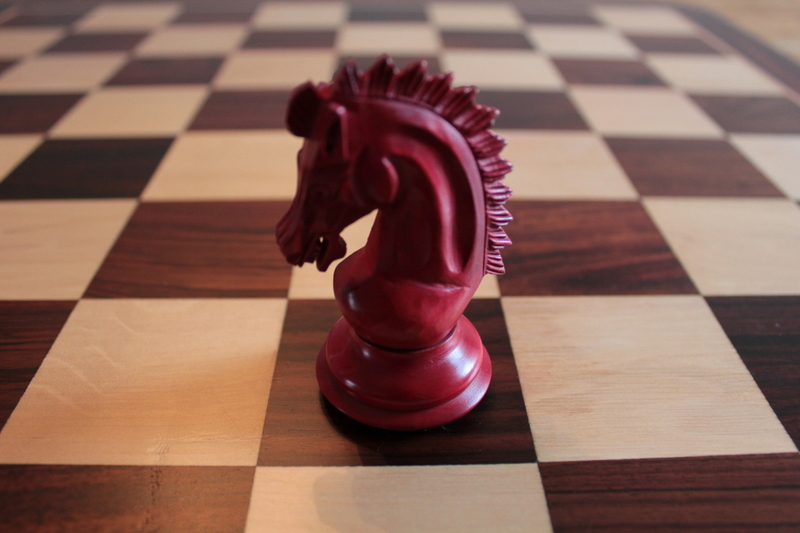 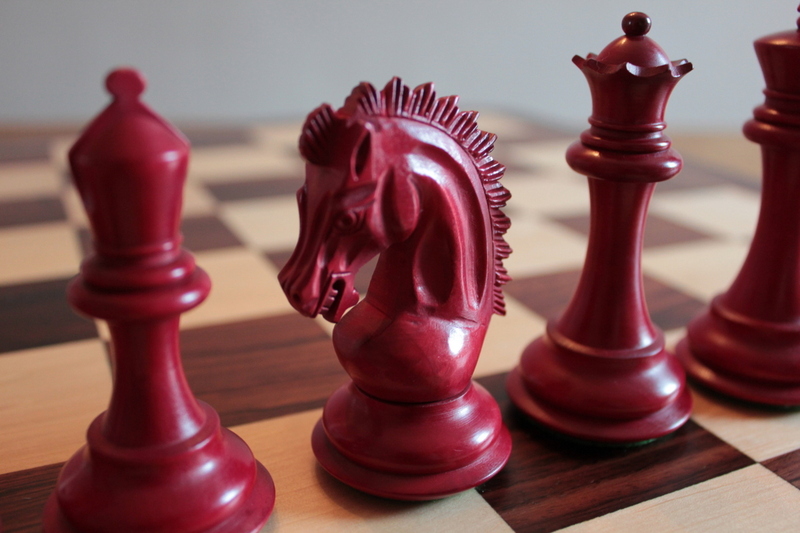 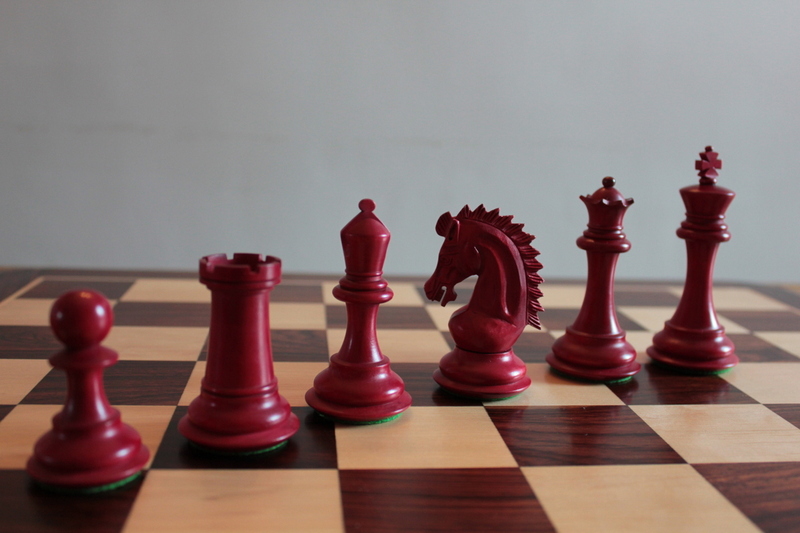 It's a new staunton chess design in contrasting red and black solid wood! 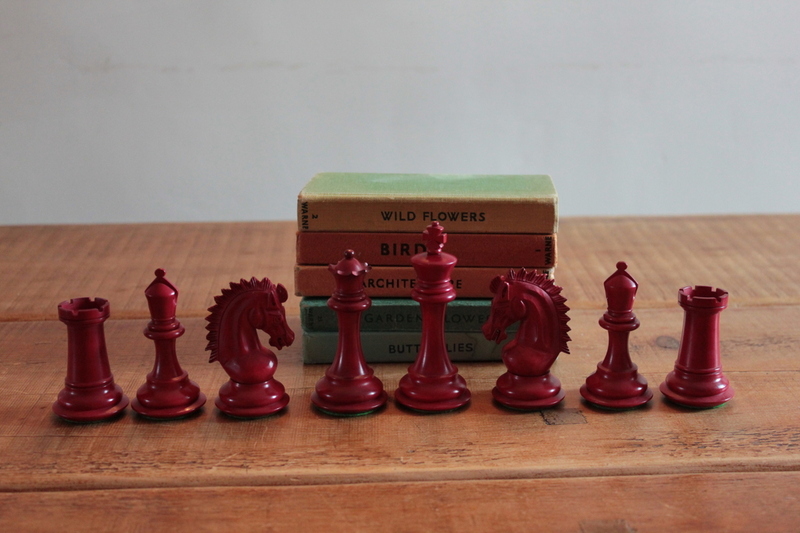 The Sheffield chess set is made, like all our products, to last a generation and longer. 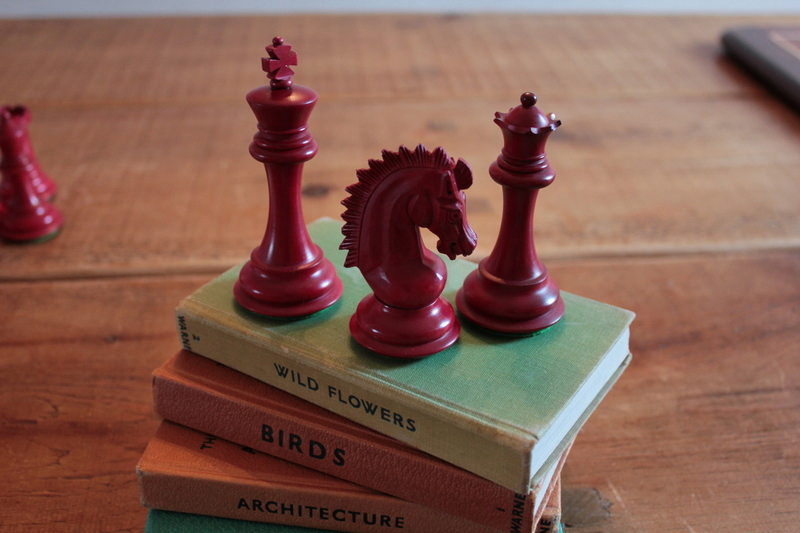 The introspective knight can get prickly, take care not to upset him. 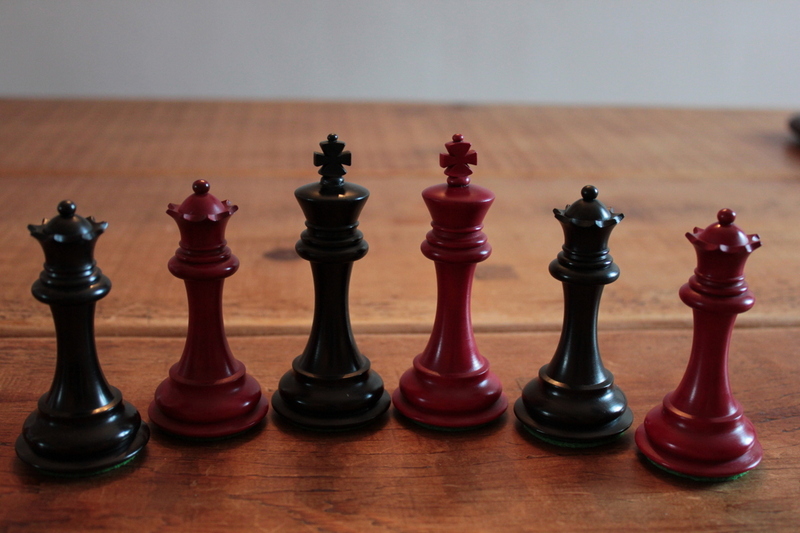 The red and black version of the Sheffield has an intrinsic weight that feels great in the hand, especially when making that crucial move resulting in checkmate.